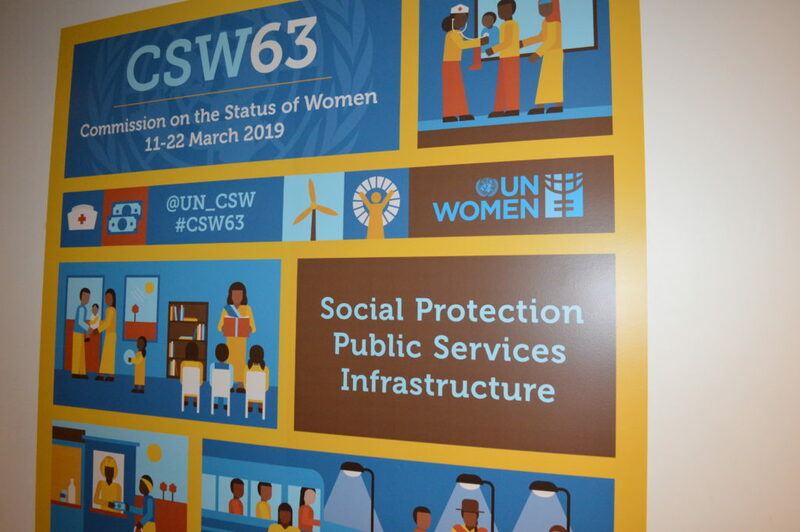 “The CSW parallel event on the definition of empowerment in the context of Agenda 2030 was an enlightening event with a vast amount of information and enthusiasm, chaired by Zarin Hainsworth, co-founder ADVANCE. The speakers employed a combination of knowledgeable and intuitive explanation of the topic. I began my presentation by giving the definition of empowerment, highlighting the key words – power, status, control and rights. The definition was followed by a remark regarding Agenda 2030 for Sustainable Development, aimed at ending poverty in all its forms by 2030. The UN resolve is to end poverty and hunger everywhere; to combat inequalities within and among countries; to build peaceful, just and inclusive societies; to protect human rights and promote gender equality and the empowerment of women and girls; and to ensure the lasting protection of the planet and its natural resources. I reviewed the process of empowering women and girls through sports, citing my experiences handling a women’s football TV show, women’s football club and a sporting event, ‘The IDPs Games’, for children at the internally displaced persons’ (IDPs) camp. I highlighted the work of Soroptimist International in the context of the Agenda 2030 three key dimensions – economic, social & environmental. In Nigeria we have projects to meet the needs of the poor and displaced, from the provision of boreholes for women in the rural areas to funds and equipment for orphanages and schools (including schools for the disabled). 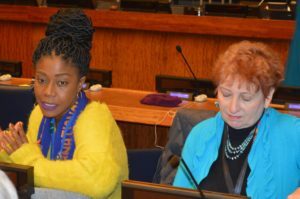 Regarding the environment, the National President Soroptimist International Nigeria has embarked on a project to empower women by restoring the environment. The plan is to plant two million trees, teach women and girls how to grow exotic/local vegetables of nutritional and medicinal value. Mads Brady, NAWO YWA, UK spoke about how education empowers women and girls, beginning with information about statistics on education. She stated that according to UN Women statistics, out of the 796 million people who are currently illiterate two thirds are women or girls, that is roughly eight times the population of the UK. Even though this number has decreased, there are huge gender disparities. Without an education girls will not be able to meet their full potential. Brady narrated a story about Joanna from the Upper East region of Ghana – an example of how girls can feel empowered through education and can achieve anything they want. Joanna has seven siblings and during her time in primary school her father lost his job, so her family were struggling to afford her education fees as well as basic necessities. Joanna’s future was uncertain and to exacerbate her situation, she had also developed a disability from a childhood illness, so any treatment she’d previously received had ended. Despite all this Joanna persevered because it was her dream to study medicine. She finally made it to high school and continued to work hard and managed to win a place to study at the University of Development in Tamale. Joanna became an inspiration and a role model to young girls who want to achieve higher than they originally thought possible. Dianah Kamande, Founder Widows & Orphans Together, Kenya narrated her experience of being disinherited after losing her husband and how that experience empowered her. 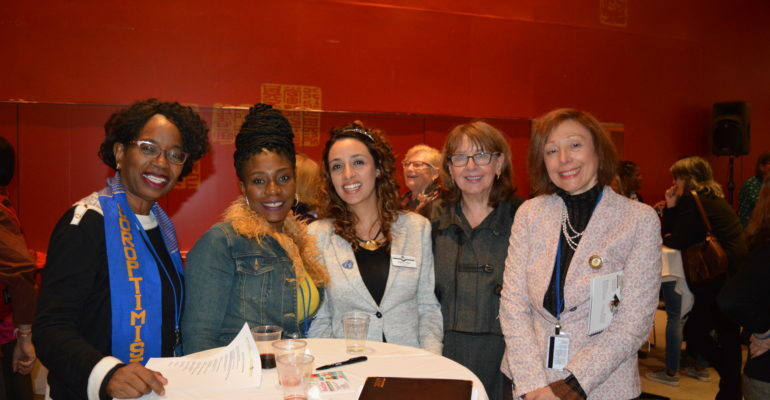 Chloe Night, NAWO YWA,UK spoke on overcoming violence against women and empowering our future female politicians. According to her, empowerment refers to increasing the spiritual, political, social or economic strength and power of individuals and communities. It often involves the empowered developing confidence in their own capabilities. Nothing can be accomplished in this world without power – it is fundamental to social existence and essential for advancing civilization. Chloe’s vision of power is, a power of women and men striving together to build a new social order. More women politically involved, shoulder to shoulder with men, to achieve sustainable development. It is essential to have more female politicians to represent their/my/our voice so that they can be the change they want to see in the world. The event ended with an interactive session and discussion in small groups”.